The PL-S20 is a saltwater resistant, nickel-plated cutter for use in underwater environments. Its recommended uses include: marine nautical cutting, emergency cutting of stainless steel wire rope rigging and hardware, underwater rebar and cable cutting, and yacht mast rod cutting up to 1/2”. 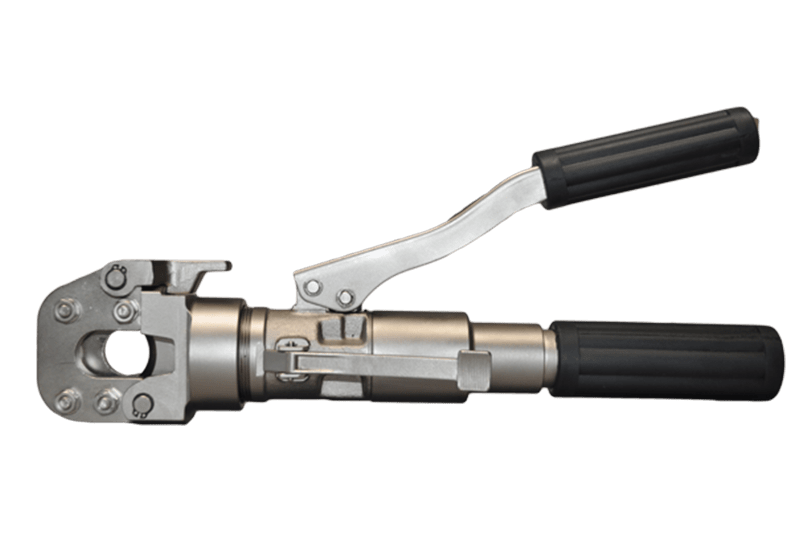 ; No need for difficult tools like hacksaws, acetylene cutting torches or pneumatic cutting tools, the PL-S20 requires only minimum pumping effort to produce specified output tonnage. Especially designed for use by the U.S. Coast Guard, Army Corp of Engineers, offshore drilling companies, longshoremen and port authorities. ; NOTE: Flush with fresh water to remove salt after each use. ; Huskie Tools’ S-Series tools cut anything from guy wire* to anchor rod and most overhead and underground cables. The S-series cutters are portable, lightweight, and made to last years under the toughest field conditions. ; The anvil style, center cut blades eliminate jamming problems common to shear style cutters, and the blades are easily replaced in the field. The tools are made of high grade steel and have rubber handle grips. All tools are black zinc oxide coated to help reduce corrosion. A flip-top latch opens the tool jaw to easily accept cables and wires. The head can be rotated up to 180° to facilitate easy wire positioning and operator leverage. ; If there are any questions about capacities, or special applications please contact Huskie Tools. ; *NOTE: DO NOT CUT EHS GUY WIRE. FOR EHS GUY WIRE SPECIFY S-240CC, S-32CC OR THE REMOTE HEADS SP-24CC OR SP-32CC1.